So you are looking for an IP camera cloud storage solution? And want it FREE? In fact, free cloud storage for security camera could be easy depending on the IP cameras you’re using. Basically, the IP camera cloud storage can be realized via either the camera manufacturer’s client or the third party software. And the camera provider’s cloud storage for CCTV is the most reliable and convenient way to go, most with FREE access to basic plans, NO subscriptions and NO extra fees. So getting an IP camera with cloud storage will be your best choice if you are keen to the cloud. Otherwise, you have to settle on the 3rd party software for IP camera cloud storage and paying monthly fees, or use the FTP server to upload files online automatically as many non-cloud cameras offer. Editors’ Note: IP camera cloud storage enables you to access to your camera recordings anywhere, but it’s not the only option. If you want remote viewing and playback function, you don’t need to upload from your IP camera to cloud storage. Any online IP camera can do that easily via the phone app, PC or web. IP camera cloud storage uses Internet to store your encrypted IP camera recordings in the off-site storage software, namely the cloud server, so that you can view, playback, delete and download the recordings from your IP camera cloud as long as there is network, via the camera client or web. And the network plays a central role in the cloud storage for security cameras. For example, the wireless security camera cloud storage uses WiFi network to send video recordings and live feeds to the cloud server, simple and convenient. And the Argus 2 is the first and most highly demanded Reolink model that works with Reolink Cloud. No WiFi network? No worries. You can still have the IP camera cloud storage with cellular security cameras which use 3G/4G data to send streams over the net, offering full functions and benefits of CCTV camera cloud storage. It’s super easy! You don’t have to do anything other than signing into your account via the security camera app or the cloud website, after you bind cameras to the cloud. And then you can see everything on its cloud section, view and playback those cloud recordings wherever you are. Step 1. Create an account on Reolink official website and add cameras on Reolink App. Step 2. Come to Device Settings -> Could Storage page to set up the CCTV cloud storage. You will be required to log in with the Reolink account you created before, and choose a camera cloud storage plan. Just follow the on-screen prompt and you can bind the camera to CCTV camera cloud easily. Step 3. Schedule your IP camera cloud recording, like enable and disable automatic uploading to the CCTV cloud storage and video resolution. And then you may start using the IP camera cloud storage and upload videos to it right away! Note: Remember that battery powered cameras only record motion events from your IP camera to cloud storage in order to save the battery life. You will not want large files on the cloud storage for CCTV, anyway. No one wants to pay for the IP camera cloud storage subscriptions on top of an expansive initial camera set, especially when you are looking for security camera systems with cloud storage. And the good news is you don’t have to, actually. Now most IP camera cloud storage is FREE for the basic plan with like 7 days’ retention or 1GB size data storage, meaning you’ll have the latest recording forever, and it is perfectly adequate even if you put your IP camera with cloud storage in busy areas like the front door or back yard for motion recording. If there is no free cloud storage available, why don’t you just turn to other camera brands that offer such service? You know, free IP camera cloud storage is supported by more and more brands to cover your basic security needs. Good news is that the Reolink Cloud Beta Plan is now FREE with 10GB large CCTV cloud storage and 15 days retention. 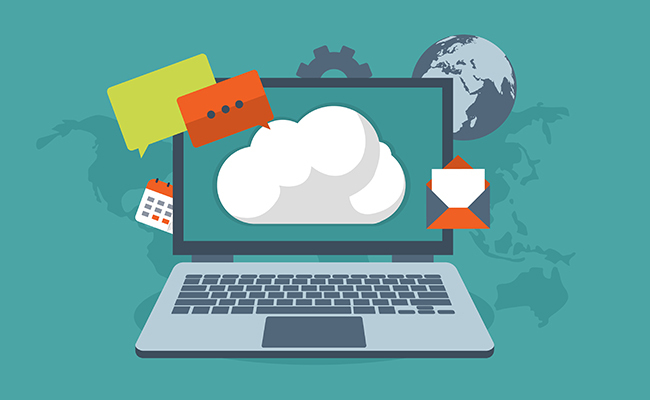 If you want to get to know the Cloud storage better, why not just test it yourself for free! So all in all, a subscription is only needed if you want the premium packages for your home security camera cloud storage, which may involve longer term cloud storage or lager storage space, costing you about $10 a month. After all, the cloud hosting has an associated cost itself. How secure are the videos stored at the cloud storage for security camera? Is data encrypted at rest? Who has access to the footage? What if someone hacks into it? Privacy and safety issues of IP camera cloud storage are always a big concern. And the key to avoid these problems is to choose a reputable security camera brand with advanced encryption technology. And the quality cloud IP cameras will enable Transport Layer Security (TLS), store videos in Amazon S3, the industry’s most-trusted service, and transmit videos through HTTPS, the protocol to ensure your data is encrypted and transferred over a secure connection. And they are more devoted to keeping the servers up to date with security patches and operating system updates. Actually, the biggest risk of the intercepting things is that users remain their default account password like admin or 12345. So, do remember to create a strong password to your account. I have an outdoor cloud IP camera to monitor the front yard. It has its own free cloud storage with retention of 7 days, but I am not that happy with this device, kinda buggy, it misses sometimes very important motions in my yard and the worst part is 1MP low resolution. A cloud IP camera with blurry images and false alarms will lose all its edges of free cloud storage. Is there any reliable cloud IP camera with free cloud based storage possibilities? 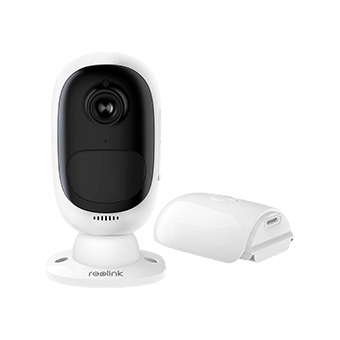 Here are top two cloud storage IP cameras I’d recommend that work with the Reolink Cloud. Actually, they also have an SD card slot in the camera to enable local storage if you want. Note: Reolink Cloud is available in the US, Canada, Australia and New Zealand for now, and more countries will be supported in the near future. You may subscribe to us to be notified with the latest updates! This best selling wire-free security camera supports both cloud and local storage, so you’ll have no worries for missing a thing, even if your device is stolen or Micro SD card is broken. You can just access the recordings anytime and anywhere. This cloud camera is designed for indoors and outdoors with or without WiFi network, almost no limited installation places. It is super easy to set up and configure the IP camera cloud. Just sign up your account on the free cloud IP camera software Reolink App, and that’s all. Running on cellular data, the camera will NEVER be offline and lose video on the cloud. Featured on top tech media including Digital Trends, TechRadar, PCWorld, Engadget, etc. Starlight night vision helps to keep an eye on things even in no light conditions. If you still don’t trust the IP camera cloud storage after all these security methods, then the local storage may suit you better with no hacking risks. You know, saving to the SD card or NVR locally also offers remote control over the recordings on your phone, PC and laptop anywhere, as I’ve mentioned. Here I’ve rounded up a comparison chart between the IP camera cloud storage and local storage to help you reach a final decision. 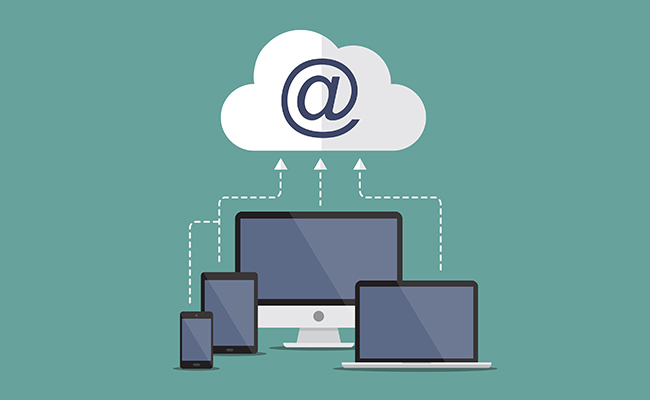 Actually, local storage often works with the free FTP online cloud storage, meaning the videos can be automatically uploaded to your PC online, and therefore you don’t need to worry about the stealing issue after you set up the IP camera FTP server. And personally, I favor the security camera that opens both local and CCTV cloud storage options to users, like the two above, so that you may choose whichever you need according to your monitoring situations and security needs. Chances are that your IP camera cloud storage is not enabled, and you want to save camera recordings to the cloud. In that case, you’ll need the help of either a 3rd party CCTV cloud storage software or an FTP server. Make sure your security camera is supported by the 3rd party cloud IP camera software. Some cloud IP camera software only support H.264 compression and RTSP protocol. 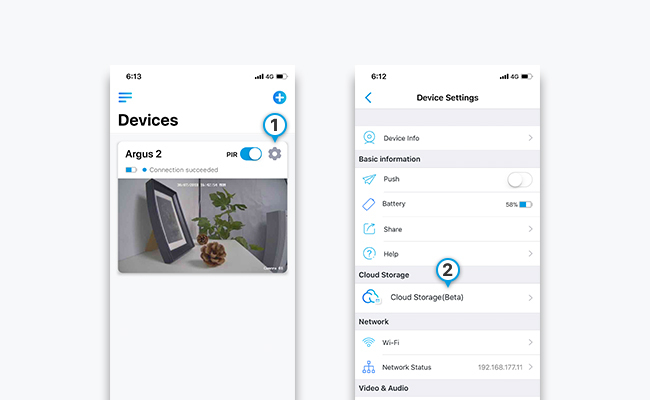 Check the resolution output of the cloud IP camera app and whether they will support both image and video recordings to make the best use of the CCTV cloud storage. FTP storage for IP camera is a great substitute of the free IP camera cloud storage and the NVR security camera system cloud storage. After you set up the FTP storage for IP camera, all the motion event recordings (picture or video) will be automatically uploaded online, and you’ll have no worries that the thieves will take your evidence. Step 1. Download the Cerberus FTP Server and install it. Actually, the free FTP storage is most commonly used, as a perfect substitute, in the non-battery powered cameras, since they are less likely to be supported by the CCTV cloud storage in manufacture. Favors the free FTP storage? 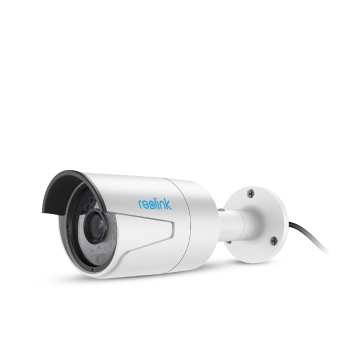 Then you may take a look at the Reolink RLC-410, the hottest seller with free FTP online storage, offering you the best security as well as convenience, at a highly affordable price. Mentioned and recommended in PCWorld, TechHive, Tweak Town, The Gadgeteer, Infinite Power Solutions, and etc. “Excellent performance, affordable price.” – PCWorld. If you have any other questions concerning the surveillance camera cloud storage, you may leave a comment down below! Whether you are looking for an outdoor security camera with cloud storage or WiFi security camera cloud storage, we will try to find the best solution for you. This entry was posted in Buyer's Guide and tagged cloud storage setup, free cloud storage, ip camera cloud, reolink cloud. because there was nothing to capture. Hi Mike, thanks for reaching out. Are you accessing the Reolink Cloud from the mobile app or the web browser? I am technician and considering to buy/sell/install security systems here in Germany. Do you know of companies working with Reolink products here? Other products and other companies in Germany working in this area? Hello Vamp, the Cloud is used for video storage and you may see the security camera live directly after you log into the security camera app (without binding your security camera to the Cloud). Currently the battery powered Reolink Argus 2 is not accessible via the web browser to save its battery life. Hope the information helps. Is there ANY scriptable way I can download recordings from my Argus 2? FTP? Some command line tool? API? Can I setup something (like an FTP server) that the Argus 2 can push recordings to? Hi there, the Argus 2 recordings can be downloaded to the phone album manually via Reolink app. Please note that the Reolink Argus 2 doesn’t support FTP storage. If you want to keep the recordings, you may use the Reolink Cloud which will automatically save recordings to the cloud library. Hope this answers your questions and please feel free to let me know if you have any confusion. Thank you for your answer. When can I expect Reolink Cloud to be available in Sweden? Hi Per, the Reolink Cloud is still under testing for European countries. You may subscribe us here https://cloud.reolink.com/ to be the first one to know when it’s available in Sweden. Thanks for the article, super helpful! I will definitely have a look at those. It’s really safe and reliable. 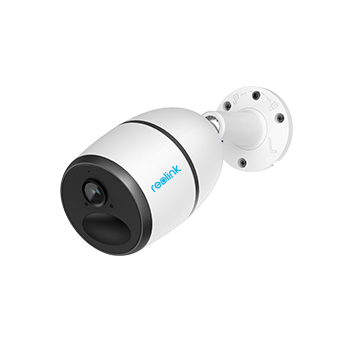 Will the Reolink cloud recording work with non-Reolink brand IP cameras (ie Foscam)? Thanks. Hi Richard, sorry, nope. 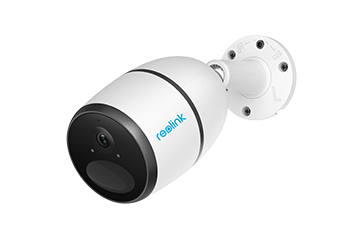 The Reolink Cloud is available for Reolink cameras ( mentioned in this post) only. Hello! You mentioned the RLC-410 has free FTP online storage, more details please! It seems Reolink Cloud is only for the wireless/battery camera only (will record on motion detection only). I’m interested in the RLC-410 because it will record continuously. Which FTP service is this? So it is a free cloud service for cameras? Thanks in advance! Hi Nivlac, the FTP storage allows you to save and backup recordings to the PC via the FTP server. You may learn all ins and outs about the FTP service here /how-to-set-up-ip-camera-ftp-servers/ Hope the information helps.